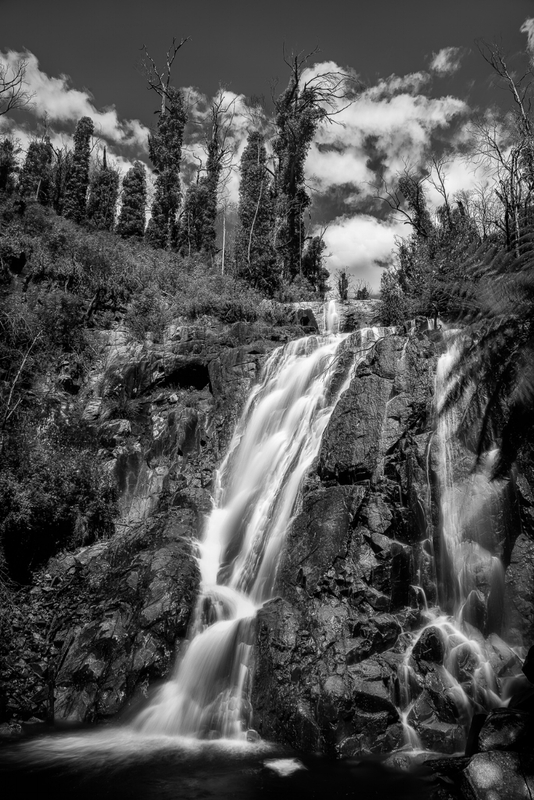 Water cascades down the face of Steavenson Falls near Marysville in north eastern Victoria, Australia. Making beautiful landscape photos on a sunny day is not always easy. Perhaps it's photography's greatest irony that the weather under which most photos are made is so often the worst possible light by which to make a beautiful rendition of the subject or scene depicted. The above photo was made at Steavenson Falls near the town of Marysville about 100 km northeast of Melbourne, Australia. I had made the trip with my old friend Ashley the previous year to look for signs of nature renewing itself following a devastating bushfire that swept through the town on February 7, 2009. On that day, known as Black Saturday, around 400 bushfires ravaged the state of Victoria resulting in the loss of 173 lives and injury to 414 people. Tremendous loss of property, wildlife and natural habitat also resulted from the Black Saturday bushfires. Bushfire is a terrible thing. A former work colleague and his wife had owned a lovely house with a beautiful garden in Marysville. Their planned retirement was largely unmade by the bushfire which totally destroyed their home. Last thing I heard was that the two of them were living in a caravan in one of their children's backyard. As far as a day out this particular trip was spectacular. A beautiful sunny day under a deep blue sky made for a great driving experience. But, as the goddess of photography gives with one hand and takes with the other, such great weather presents problems for the photographer. As it reflects much of the fine detail and color off surfaces within the scene, bright light tends to wash out detail and color. A polarizing filter, which works to reduce surface reflections, can be helpful under such conditions. A fast flowing creek near Milford Sound on the south island of New Zealand. I used a strong ND filter to extend the Shutter Speed and achieve the creative blur in this image. Bright light can make it difficulty to achieve the slower shutter speeds normally required to blur moving water. Your ability to produce emotive, ethereal images is, therefore, reduced by your inability to achieve long exposure times under bright light. The solution is to employ a Neutral Density (i.e., ND) filter. After a considerable amount of research I purchased a selection of Formatt-HiTech Firecrest ND filters. 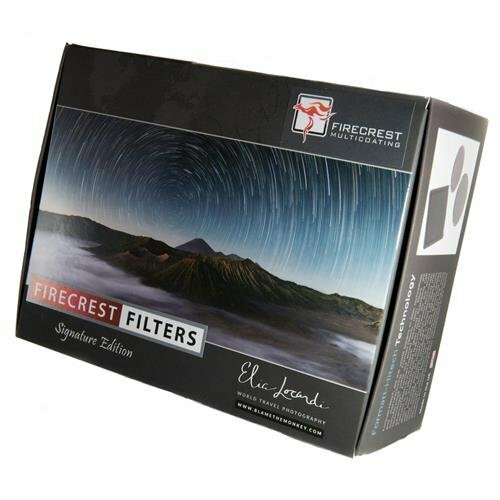 These are high-quality, visually opaque glass filters which, by significantly reducing the amount of light reaching the camera’s sensor, result in the need for longer exposure times. By selecting the right strength (i.e., opacity) Neutral Density filter and, where required, adjusting ISO and Aperture you can arrive at the Shutter Speed required for the amount of creative blur you seek. Neutral density filters come in a variety of strengths or opacities. At this stage I have 10, 13 and 16 stop ND filters, though I expect I’II add a 6 stop ND filter down the road aways. A 6-stop ND filter will increase (i.e., extend the duration of) the exposure time from, for example, 1/500 second to ⅛ second. The same image made with a 10-stop ND filter in place would require a 2 second exposure. Employing a 16-stop filter, under the same circumstances, would result in a 128 second exposure. ND filters are available as either traditional circular screw-in filters or as square or rectangular filters that are fitted to a specially designed filter holder that's attached, via an adapter, to your camera's lens. 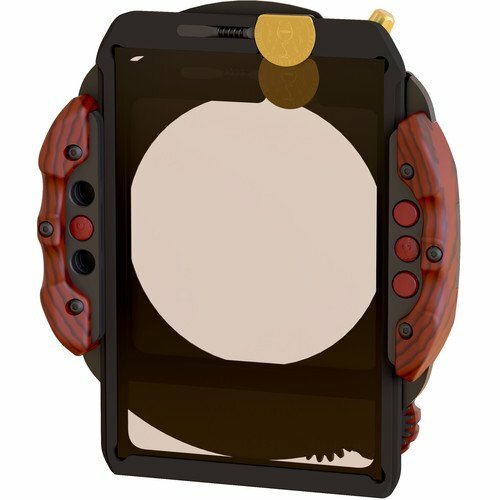 I've recently became aware of a very expensive, but very beautiful range of Neutral Density filters and filter holders from Wine Country Filters. Frankly, they look amazing and, one day, I might investigate them. I'm particularly impressed with the way the filter mounts into the Wine Country Filters filter holder and the way that filter holder attaches to the lens. 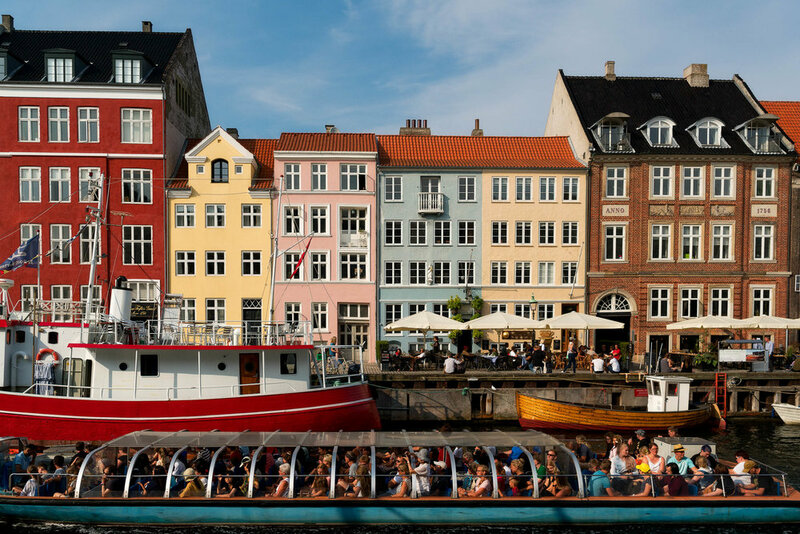 An incredibly colorful scene as a boat of tourists sail along the canal at Nyhavn in Copenhagen. One of my favorite photography mantras, the above quote explains the loss of essential information, be it shadow detail and/or highlight texture, that often occurs when photographing under high contrast conditions. The difficulty associated with photographing subjects or scenes of inherently high contrast (i.e., dynamic range) is probably the hardest thing for the aspiring photographer to understand. The simple fact is that the camera cannot record the world in exactly the same way as the eye sees it or, more correctly put, the mind perceives it. The above photo featuring a boat full of tourists on a bright, sunny day in Copenhagen works because the shadows in the image aren't important. Because of that it's okay that those shadows have photographed almost black. What makes the image work is the brightly lit colors in the boat and background buildings and the fact that many of the people in the boat are illuminated. If it wasn't for that fact I wouldn't have made the photo. Thankfully the latitude of camera sensors is increasing, which makes it easier to maintain highlight texture and shadow detail under moderate to high levels of contrast. But extremely high contrast situations remain beyond the ability of most, if not all, modern cameras to satisfactorily record. The good news is that redistributing tones, so as to reduce contrast, by darkening down highlights and opening up (i.e., lightening) dark shadows is within easy reach of millions of photographers via applications such as Adobe Lightroom. Photographing in RAW, rather than JPEG, will provide you with larger files and significantly more data (i.e., finer chunks of data) for even better results. However, if you only want to post process images on an occasional basis, you’d be better off accepting a quality loss and continuing to work in JPEG mode. In that case I would recommend setting your camera to the highest quality JPEG setting for the best quality JPEG files. RAW mode is for the super keen as the image isn’t ready for sharing, and often looks pretty shabby, until it’s been processed on the desktop. While JPEG files receive basic image processing in camera, RAW files are designed to be processed, on the desktop, by the discriminating photographer. RAW will produce better results, but only if you’re prepared to do the work and process all of the images you want to share yourself. This involves a commitment in time and a new skill set (i.e., post processing). 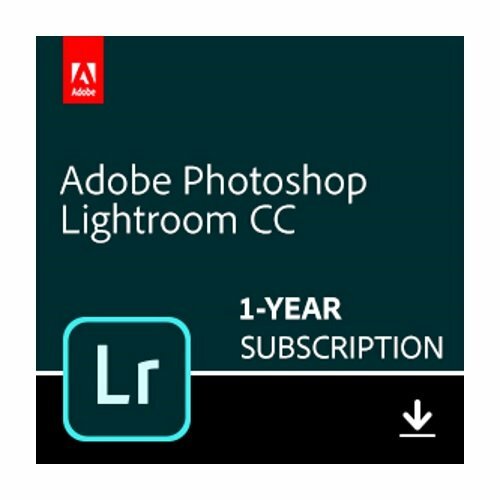 However, Adobe Lightroom will provide the average photographer with fantastic results, most of the time. And, if properly taught, you can become quite adept using Lightroom after one or two sessions. I’ve got loads of folks who I’ve taught Lightroom to who would echo those thoughts. My approach to managing contrast on the photo at the very top of this post was to employ a polarizing filter to reduce reflection and, thereby, hold onto detail and color in the brightly lit rocks which, due to the spray from the waterfall, were particularly reflective. The final, and most pressing issue, was the high contrast conditions under which I was working. By reducing reflections the polarizing filter had helped to lower the overall contrast, but not enough. 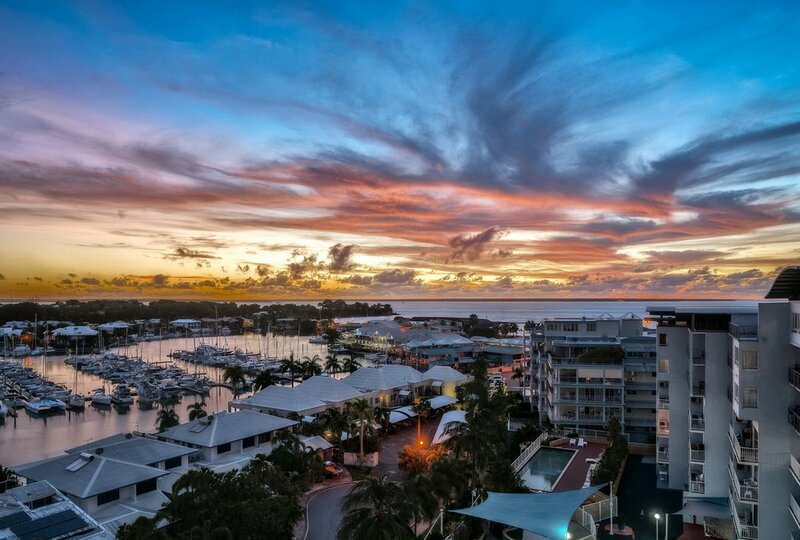 A beautiful sunset over Cullen Bay, Darwin from my balcony at Cullen Bay Resort. While I was happy for certain elements (e.g., trees in the background) to render quite dark, I wanted to ensure sufficient detail was retained in the rocks and foliage around the waterfall. I made a series of images, at different brightnesses, so as to record as much detail as possible. It was simply a matter of ensuring little or no movement of the camera and subject matter (except, of course, for the water and the odd fern blowing in the wind) throughout this series of exposures. It was time to employ my ultra steady Really Right Stuff TVC-33 tripod. The resulting images were converted, via a HDR workflow, into a single, new composite image containing far more information than any of the individual original exposures. The composite .tif image was then processed in Adobe Lightroom, prior to final processing, including conversion into black and white, in Photoshop. Do You Make Photos Or Art? If I'd chosen to stay in color I'd probably have tried to keep the brightness of the shadows up. That's because, in a color photo, folks expect to see green leaves on trees, even dark trees. But black and white allows the artist photographer to opt for a visually arresting, higher contrast result. The trees in the top left of the image are now really more shapes than they are trees. That's what removing color from an image can do for your photography. It’s a form of abstraction which further removes the image from reality. This process seems to open up new possibilities for visual and, sometimes, spiritual exploration. And so photography becomes art.